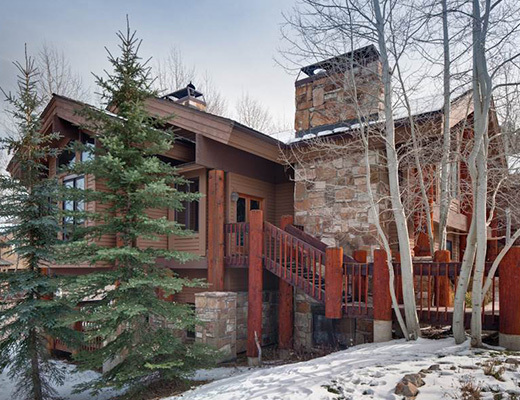 Aspen Hollow, a mountain retreat nestled among the trees in Silver Lake, Deer Valley's mid-mountain village. 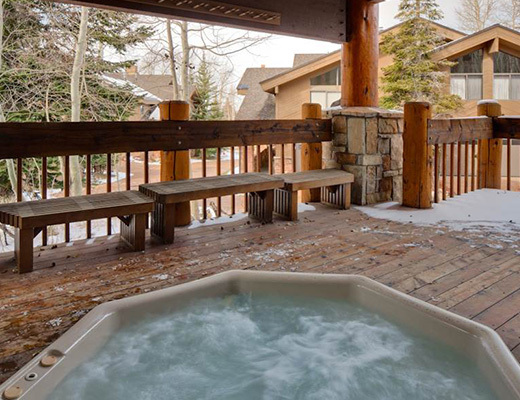 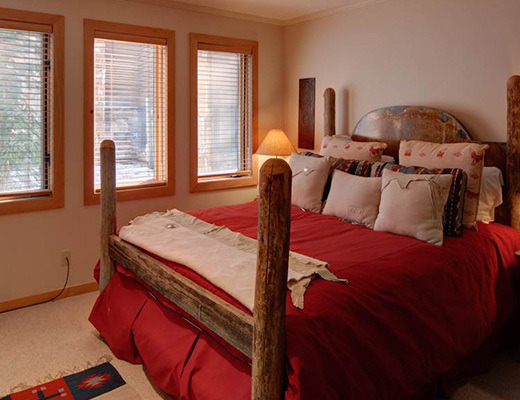 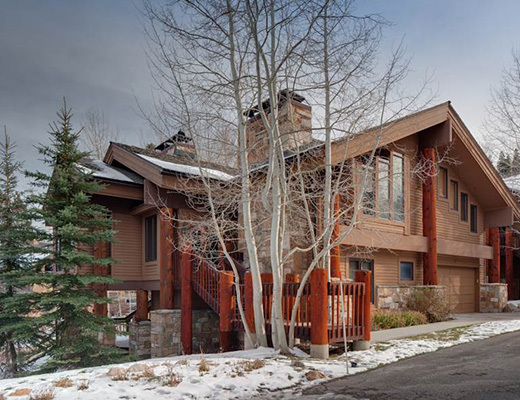 It boasts walk to ski access, with a trail running adjacent to the complex that takes you right onto the slopes of Deer Valley Resort - at the end of the day, you can ski down to Royal Street, remove your skis and walk across the street into Aspen Hollow. 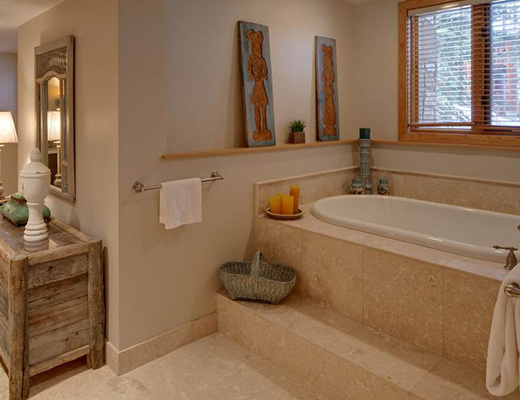 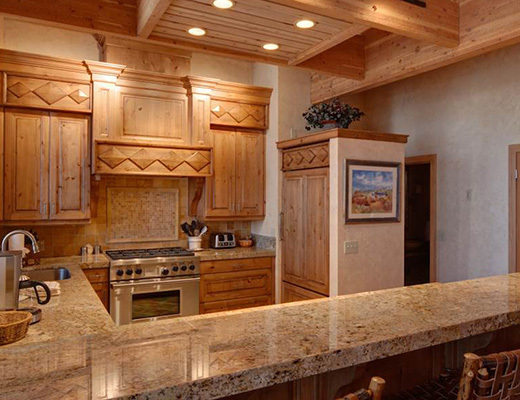 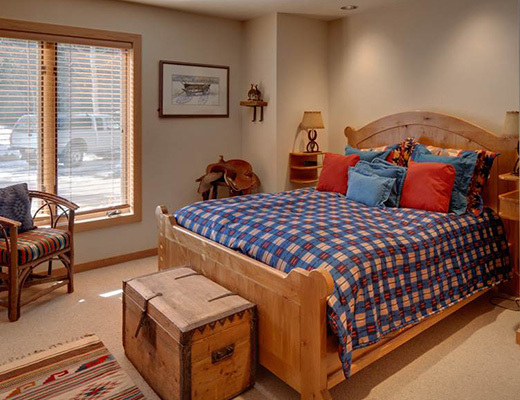 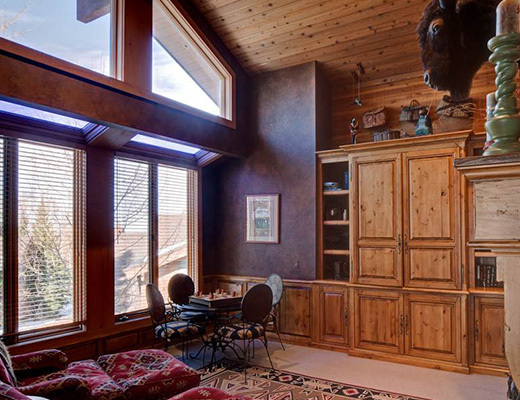 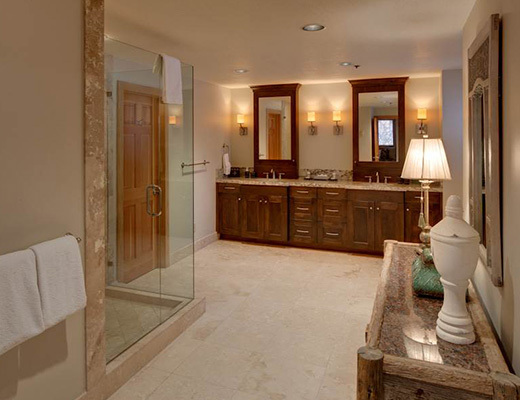 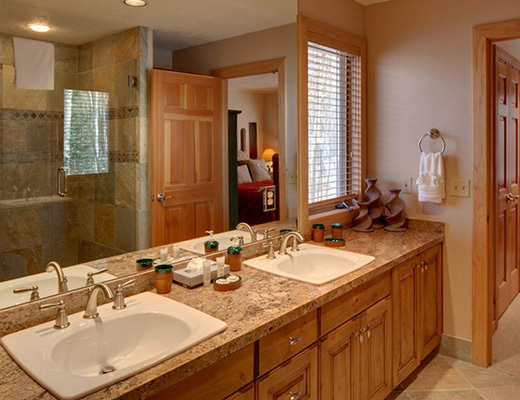 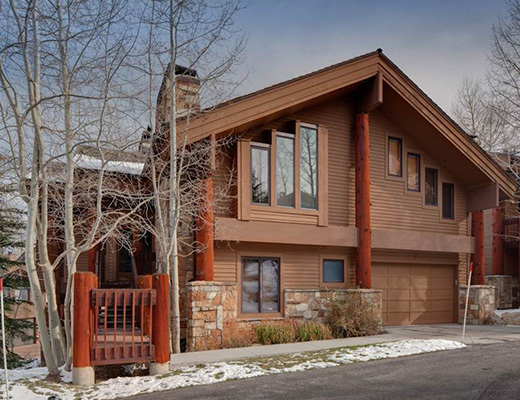 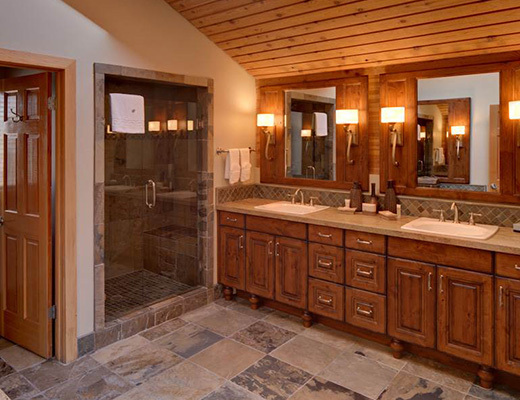 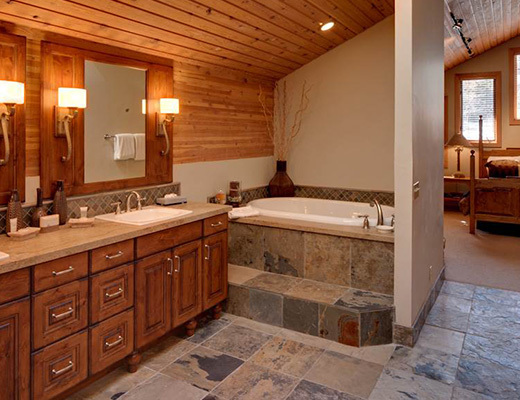 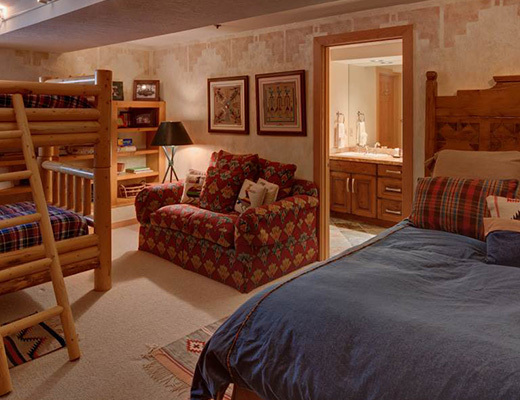 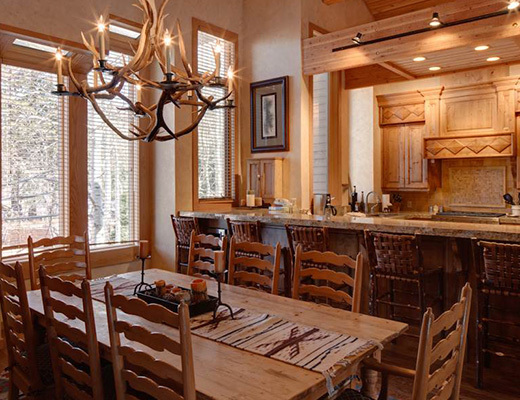 This 5-bedroom/5.5-bath property is the largest free-standing home in Aspen Hollow. 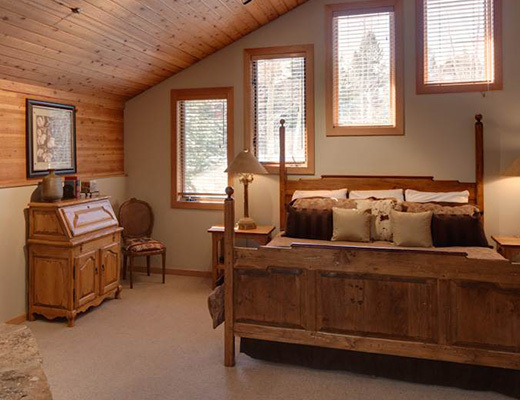 It offers two large master suites, each with king beds, spacious attached baths and wood-bruning fireplaces, as well as private baths for each of the other three bedrooms, and will accommodate up to 12 guests. 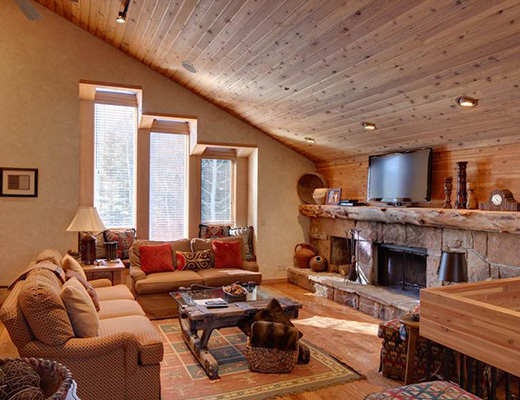 It features two family rooms, each with a wood-burning fireplace and large flat-screen TV with Blu-Ray DVD player, plus a library with wet bar, fridge, fireplace, large flat-screen TV and Blu-Ray DVD player. 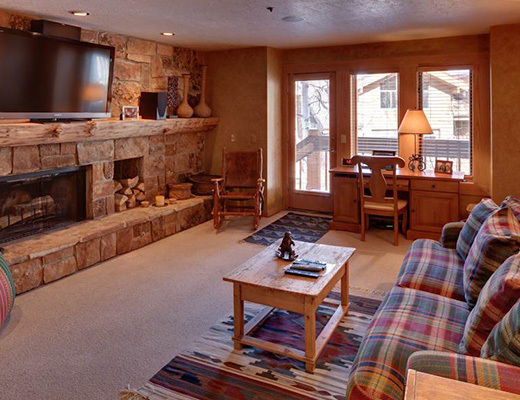 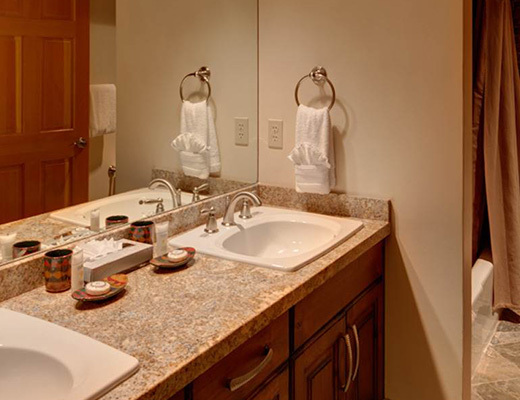 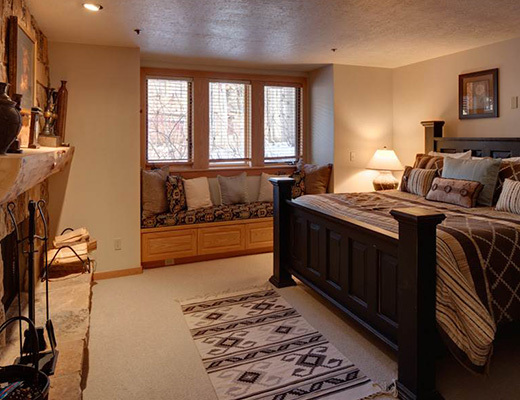 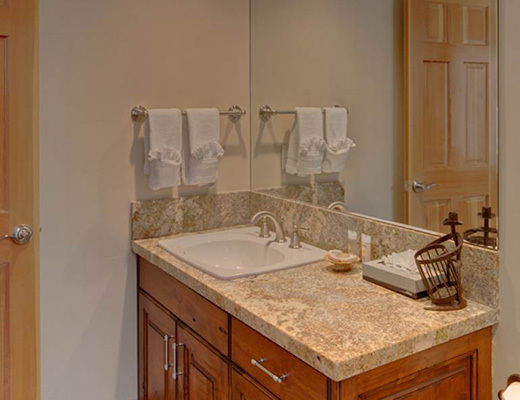 Additional amenities include a total of five wood-burning fireplaces, private covered outdoor hot tub, wireless internet access, radiant floor heat, washer/dryer, boot dryers, and a two-car garage.